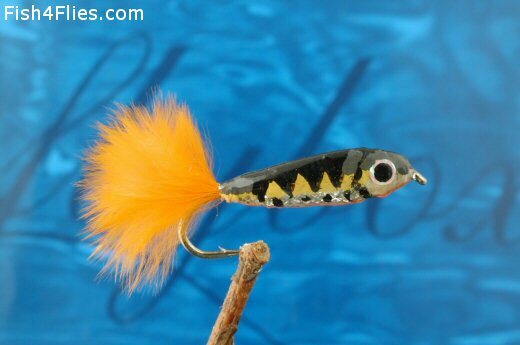 Perch Fry are a favourite of predatory trout and this pattern works well when working the margins. Hook : Scorpion Traditional Streamer. Tail : Pearl Flashcrystal Twist. Body : White deer hair, spun and clipped. Body Markings : Olive and black Pantone pens. Currently there are no comments about the Perch Fry fly pattern from other fly fishermen yet.